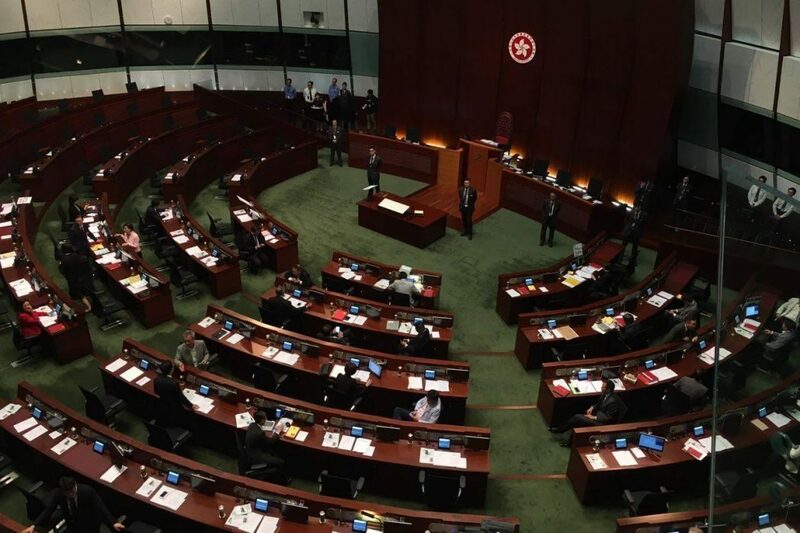 Wednesday’s session of the Legislative Council was adjourned after the legislature’s president Andrew Leung prevented Youngspiration lawmakers Yau Wai-ching and Sixtus Leung Chung-hang from attending the meeting. Leung announced on Tuesday that he would defer the duo’s retaking of their oaths until the government’s judicial review is concluded. The controversy surrounds Yau and Leung who referred “China” to “Chee-na” – considered by some to be insulting – in the legislature’s swearing-in session two weeks ago. The Legco session on Wednesday. Photo: HKFP/Kris Cheng. Despite Leung’s decision, the pair vowed to enter the chamber and retake their pledges regardless. On Wednesday, Leung told the duo to exit the chamber after pro-democracy and opposition lawmakers escorted them in followed by reporters. 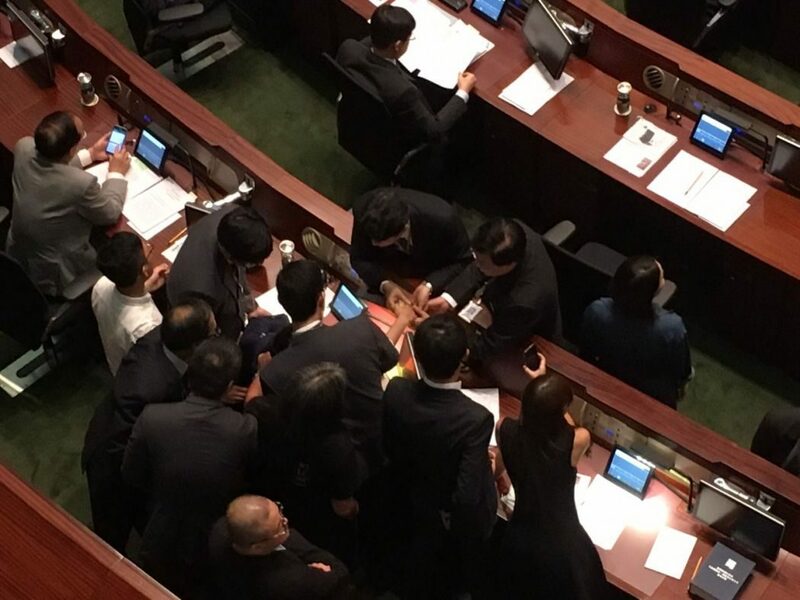 The Youngpsiration lawmakers refused to leave, while other pro-democracy lawmakers stood next to them to block the legislature’s security guards from taking action. Pan-democrats surrounded the Youngspiration duo against the Legco security guards. Photo: HKFP/Kris Cheng. 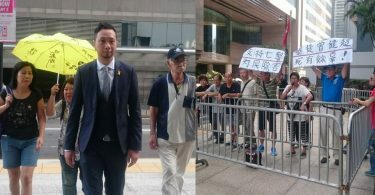 Civic Passion’s Cheng Chung-tai was also ordered to leave after he walked towards the legislature’s president in protest. The lawmaker also refused to leave and returned to his seat. Security guards tried to remove Cheng from his seat, but to no avail. 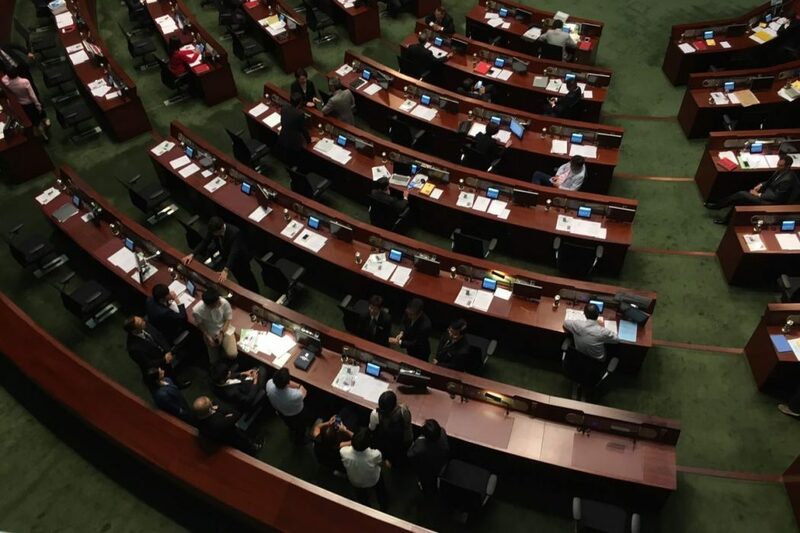 Pro-democracy and pro-Beijing politicians shouted “clown” at each other. The session was adjourned amid chaotic scenes. 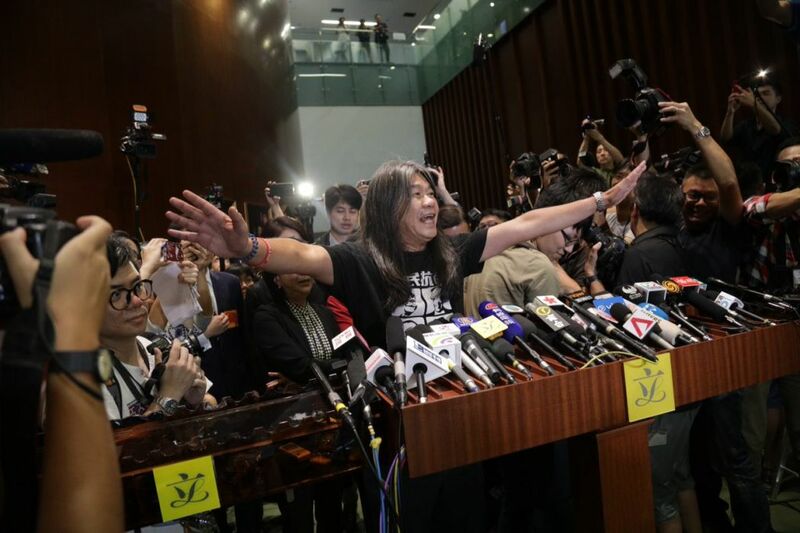 League of Social Democrats lawmaker Leung Kwok-hung “Long Hair” told HKFP that the president cannot kick out all opposition members from the chamber. Leung Kwok-hung. Photo: HKFP/Stanley Leung. Cheng also blamed the chaos on the president. “I want to tell Hongkongers that under the rule of Andrew Leung and [Chief Executive] Leung Chun-ying, the two ‘Leungs’ hurting Hong Kong – today is the first day that we can very clearly see it. So today is simple, I want everyone to understand the mess of the Legislative Council is definitely the the responsibility of president Andrew Leung today,” he said. 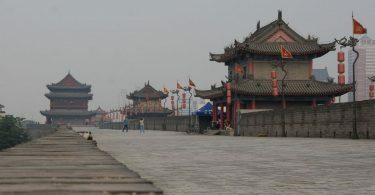 Cheng Chung-tai. Photo: HKFP/Catherine Lai. Pro-establishment lawmakers said that they were “extremely regretful” that the meeting was adjourned. 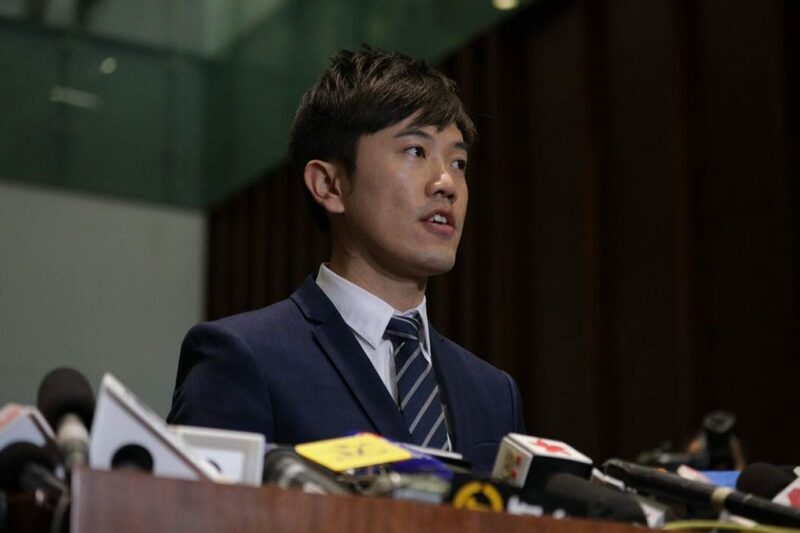 Pro-Beijing DAB’s Junius Ho said that “we cannot forget that we are here to serve the Hongkongers” and that it was regretful that there was “gangster-like behaviour” in the Legislative Council today.